I’ve always been a slightly naughty girl… | Wasted Times. What a GREAT image. Like it…a lot. Red Riding Hood knew who the real enemy was. 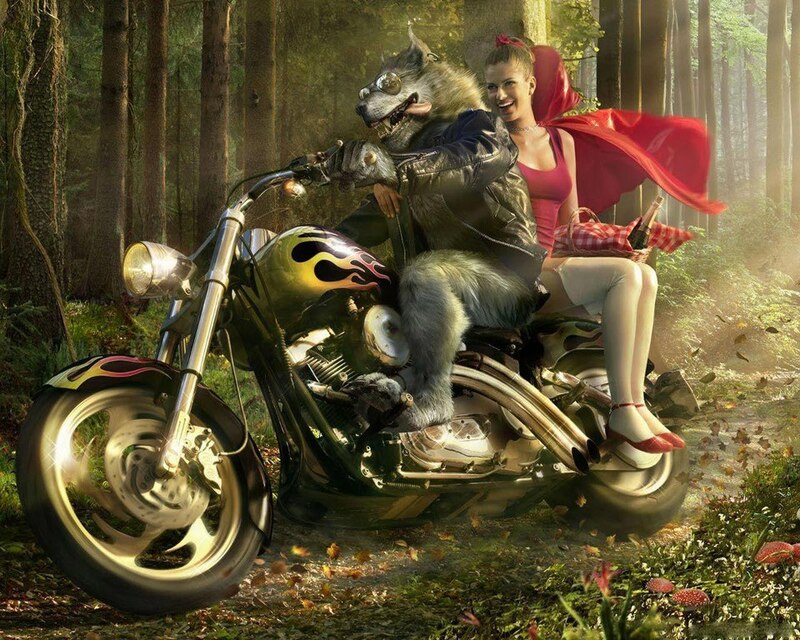 Once they got rid of the evil Huntsman, she and the wolf, rode of into Happily Ever After.